A lovely outdoor hybrid originally from South Africa. Vigorous growth and extreme hardiness to dry weather make Daddys Girl just perfect for outdoor growers that might not get to see their plants as much as they'd like. This plant has had some amazing results outdoors in Europe and now with the feminised option she’s looking to doing even better. Long elongated branches that produce buds all the way up to clumpy tops, that often need tying up or staking in the late summer to avoid breaking under their own weight. 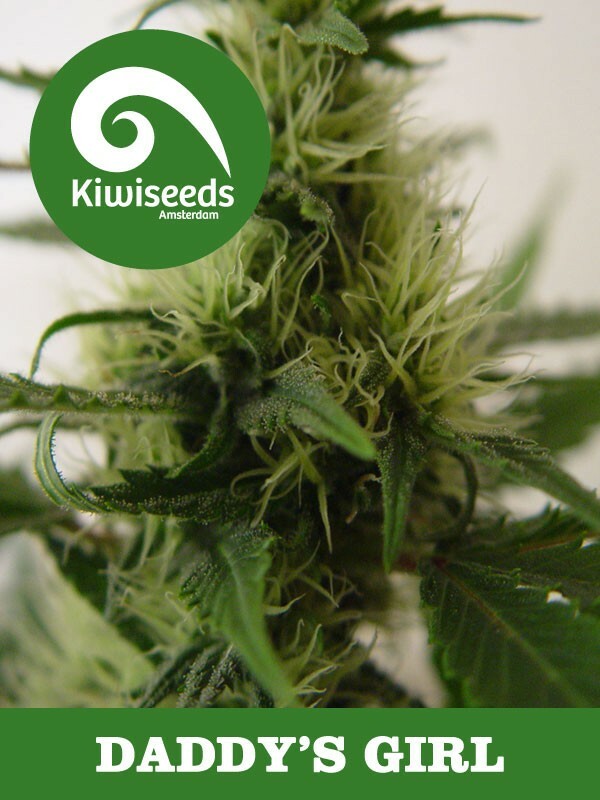 Gorgeous citrusy aroma and spicy sativa flavours are what to expect. Now available, the best of these genetics in Regular seeds, what better way to make the ideal strain than breeding the best of the best into your favourite variety? That is now possible thanks to our strains being available in Regular seeds too!